Utility Block « What Happened to the Portcullis? 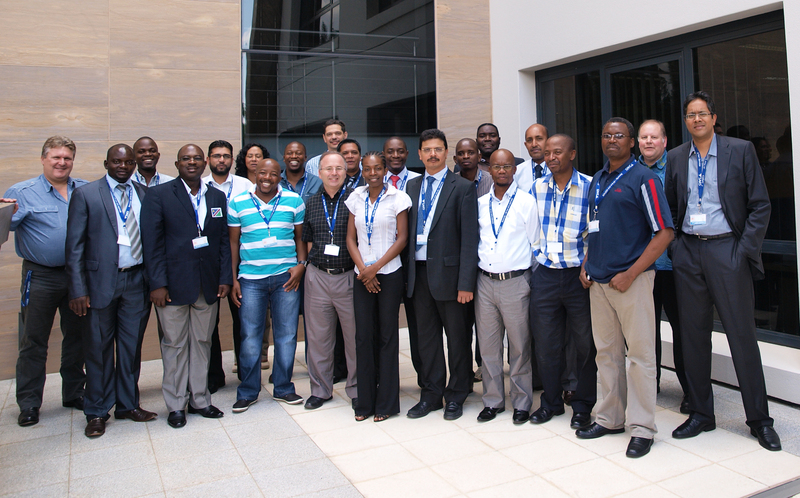 Delegates from the SADC member states gathered in Port Louis, Mauritius between 9 and 13 October to establish a SADC Customs ICT strategy for the region. The conference, sponsored by the United Nations Economic Commission for Africa, coincided with the 200th anniversary of Customs in Mauritius. Following recent developments on IT connectivity and data exchange in the region, the conference addressed other areas of ICT in Customs which have a significant influence not only for internal Customs processing but its impact and effect on the broader stakeholder community. The conference was well attended with representatives from Angola, Mozambique, Lesotho, Swaziland, Namibia, Botswana, Tanzania, Zimbabwe, Seychelles, Mauritius, Democratic Republic of Congo, Malawi, and South Africa. The event also drew international interest with representatives from the World Customs Organisation, Trans-Kalahari Corridor, SA Trade Hub, the East African Community, Southern African Customs Union, and the UN Economic Commission for Africa. “Customs Connects, Borders Divide” conveyed the central theme for the event with the WCO IT and Capacity Building expert, Mats Wicktor, providing an enabling platform upon which the conference deliberations occurred. A detailed presentation clearly outlined the WCO’s the basis for standards, recommendations and guidelines, with specific reference to the Data Model, the Unique Consignment Reference and the most recent developments on Globally Networked Customs (GNC). Other keynote addresses were made by Mozambique (DGA) on their experience in implementing the Single Window concept (for more details on this project visit URL: http://tfig.unece.org/case-stories.html). Host nation Mauritius presented their Cargo Community System, and a number of other IT developments namely, e-Certificate of Origin, valuation database for 2nd hand motor vehicles, and the recently implemented Customs Enforcement Network (CEN) solution. SARS presented its Customs Modernisation journey highlighting some of the key ICT products and features and the respective efficiencies and trade facilitation benefits introduced for trade. Furthermore, it elaborated on its current bilateral data exchange initiatives with Swaziland, Zimbabwe, Mozambique as well as the IBSA countries. The business end of the conference saw the finalisation, tabling and vetting of a draft SADC Customs ICT strategy. 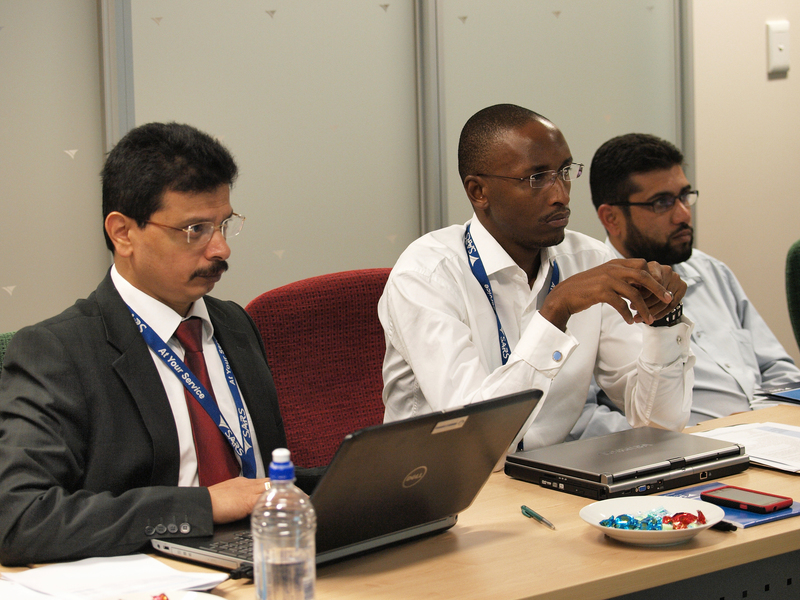 The strategy provides a broad framework, focussed around the concept of Customs-to-Customs data exchange. It seeks to create synergy between member states in regard to aspects such as transit management, common risk and enforcement principles, the entrenching of the One Stop Border Post concept, as well as automation of certificates of origin. From a SADC point of view, the strategy will support the realisation of its Strategic Plan – envisaged to include a Customs Union. Hardly a week goes by without some or other African politician waxing lyrical about continental integration, continental trade diversification, and a wholesome analysis of the ‘barriers’ which prevent the African continent from reaching its full economic potential. No doubt I’m a bit biased in relaying the recent ‘public lecture’ of our deputy President Kgalema Motlanthe at the University of Finland – read the full speech here! Plenty of insight clearly delineating a plethora of barriers; yet, are we African’s so naive not to have identified these barriers before? Evidently yes. 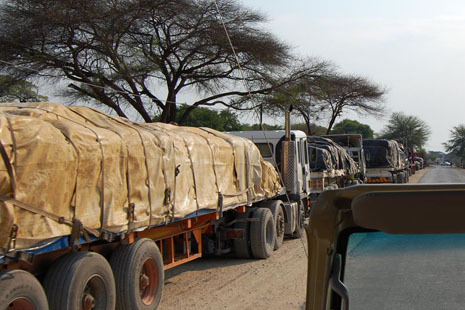 In recent weeks, on the local front, we have learnt that One Stop Border Posts (OSBPs) is the solution to non-tariff barriers. This topic was drilled amongst the press till it got boring. The focus soon thereafter shifted to the implementation of a border management agency (BMA) – all of government under one roof – so simple. The reality is that there is no silver-bullet solution to African continental integration. Of this, affected business, Customs administrations and the international donor community is acutely aware. While the WTO and the multitude of trade lawyers will ‘yadder’ on about ‘diversification’ in trade, the reality is that Africa’s raw materials are even more sought after today than at an any time before. Certainly those countries which contain vast resources of oil and strategic minerals are about to reap the benefits. So why would African countries be concerned about diversification when the petro-dollars are rolling in? Perhaps greed or lack of foresight for the medium to long-term well-being of countries and their citizens? The fact remains, without homegrown industries producing goods from raw materials, most of Africa’s eligible working class will continue to be employed by foreign mineral moguls or the public service. Several customs and infrastructure solutions have over the last few years emerged with the usual credential of “WCO or WTO compliant”. Africa has been a guinea pig for many of these solutions – ‘experiments’ if you prefer. Literally millions of dollars are being spent every year trying out so-called ‘best-of-breed’ technology which users unfortunately accept without much questioning. The cart is being placed before the horse. Why? because the underlying route cause/s are not being identified, understood (sufficiently) and prioritized. Insofar as there exists no silver bullet solution, neither is there a single route cause in most cases. Unfortunately, donor aid often comes with its own pre-conceived outcomes which don’t necessarily tie in with those of the target country or the well-being of the continent. While governments like to tout the ‘big-hitting’ projects, there are several ‘less exciting’ (technical) areas which countries can address to kick-start the process. One of these has even been recognised by the likes of the World Bank and OECD notwithstanding capital-intensive programs which promised much and have not delivered fully on their promise. The issue at hand is the harmonisation of customs data. It might at first sound irrelevant or trivial, yet it is the key enabler for most Customs Modernisation initiatives. While there is still much anticipation in regard to the forthcoming deliberation and outcome of the WCO’s Globally Networked Customs (GNC) initiative at June’s WCO Policy Commission session in Brussels, there is significant support for this approach on the African continent. The momentum needs to be maintained. 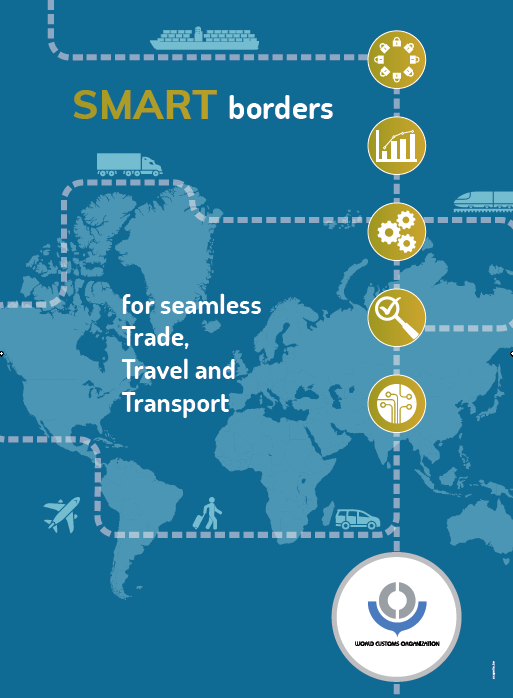 With the WCO Council Sessions later in June this year, it is opportune to discuss perhaps one of the single most important developments in Customs Inc, the “Globally Networked Customs (GNC)” concept which aims to realize connectivity, data exchange, and cooperative work amongst the world’s customs administrations. GNC is set to play a very important role in promoting trade facilitation, enhancing trade efficiency and safeguarding trade security; it will also greatly influence international rules and the development of the customs end-to-end operational process. By and large the SAFE Framework, WCO Data Model and the Revised Kyoto Convention provide specific standards for the development and implementation of national customs legal, procedural and automated systems. It is the GNC that will in future “industrialise” and harmonise Customs-2-Customs (C2C) information exchange requirements which underpin a country’s bilateral and multilateral trade agreements. Briefly the need for GNC arises from the exchanges of information underpinning International Agreements in the commercial domain. These take time and are costly to implement. They are all different from each other creating diversity both for Members and trade. This is because each one of these agreements is built anew, handcrafted and tailor-made to meet the needs at hand. This approach will not scale up and countries broking an increasing number of International Customs Agreements are already encountering difficulty to maintain their delivery plan in line with their international policy ambitions. Below you will find links to 2 documents explaining the GNC. More information on the GNC will be provided once approved by the WCO’s Policy Commission later on in June 2012. Source: WCO.